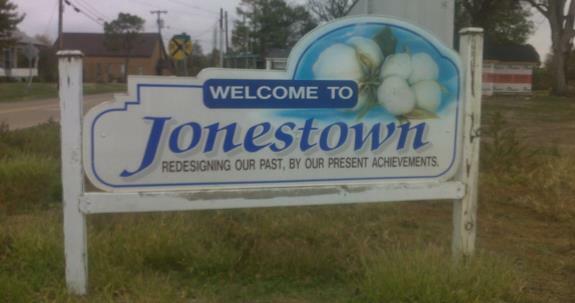 In its blind failure to recognize its dire peril, Capitol Hill’s Republican establishment is beginning to look a lot like the unfortunate souls at Jonestown who “drank the Kool- Aid” and committed mass suicide as the authorities closed in on the cult at its remote compound in Guyana. 'For every Republican senator, the fate of the party is in our hands, as well as that of the economy. The economy needs a tax cut, and the Republican Party needs to deliver." Yet, with this imperative two Republican Senators have already come out in opposition to the bill and between six and eight others have expressed reservations about the House-passed plan. Sen Steve Daines (R-MT) joins Sen. Ron Johnson (R-WI) in publicly rejecting the current version of the bill. According to reporting by The Hill’s Naomi Jagoda, the two senators are pushing for lawmakers to do more to help "pass-through" businesses whose income is taxed through the individual tax code. Pass-throughs can take the form of sole proprietorships and partnerships and include many small businesses. Senator Bob Corker (R-TN) has taken a hard line against letting tax legislation add to federal deficits -- saying that a single penny of new deficits would lose his vote, reports Bloomberg’s Sahil Kapur. This surprises many observers who can’t seem to recall Corker being such a deficit hawk during the eight years of the Obama presidency, when the national debt doubled. It turns out the Senate bill would add $1.4 trillion to the deficit over 10 years -- at least before accounting for any economic growth -- according to a Congressional Budget Office report released Sunday reports Kapur. Corker’s price for support is a typical inside-the-Beltway gimmick of creating a “trigger” that would raise taxes if the deficit rises. Arizona’s Flake and Oklahoma’s Lankford also want that kind of trigger reports Kapur. Then there are Sen. Susan Collins (R-ME) and Kansas Republican Jerry Moran who both object to including a repeal of the Obamacare individual mandate in the tax bill. Collins has also suggested that the bill cuts taxes on corporations too deeply and should instead put more money toward tax reductions for individuals. Also, our friends at fivethirtyeight.com remind us Collins is the Senate Republican who most often votes against legislation backed by Trump and Senate GOP leadership, according to FiveThirtyEight’s Trump Score. Fivethirtyeight.com also reports that Senators John McCain (R-AZ) and Todd Young (R-IN) have expressed skepticism about the $1.4 billion pre-growth deficit estimate, and McCain has already proven himself willing to pull the roof down on his head by killing the Obamacare repeal. However, Young presumably has thoughts of reelection and is less likely to vote NO given that Trump won Indiana handily and Vice President Mike Pence is the former Governor of the Indiana. Fivethirtyeight’s Perry Bacon, Jr. also reminds us that Alaska’s Lisa Murkowski remains a wild card. She, like Collins, is a regular dissenter from Trump and Senate leadership. And both of them, along with McCain, showed that they are willing to kill major GOP initiatives when they voted against Obamacare reform this summer. The House bill is by no means perfect, and if the Good Lord put us in charge we would make drastic changes to it, but one rarely finds perfection in politics and given that there are always winners and losers when Congress passes big bills, this tax legislation is, as our friends in the House Freedom Caucus viewed it, a step in the right direction. We think Sen. Rand Paul (R-KY) got it right when he said that he will vote for the Senate GOP tax plan and urged his colleagues to "step up" and back the measure. "This tax bill is a true test for my colleagues. I'm not getting everything I want -- far from it. ... I've fought for and received major changes for the better -- and I plan to vote for this bill as it stands right now," Paul wrote in a Fox News op-ed. We agree with Senator Paul – the best way to ensure that a good tax reform package gets to President Trump’s desk is for each CHQ reader to call their Senator and urge them to vote YES when the bill comes to the floor. The Capitol Switchboard is 1-866-220-0044 please call your Senator today. Submitted by email_registrat... on Wed, 11/29/2017 - 13:40. It is apparent the Republican establishment has as much invested in preserving the corrupt status quo in Washington, DC as does the Demorat establishment. The GUP (Give Up Party) establishment is perfectly willing to give up their majorities in the Senate and even the House to preserve that status quo. Just as long as they have a seat at the table and can maintain their golden eggs of power and privilege. Also, the GUP is much more comfortable in being the minority party. That way they don't have to live up to campaign promises they never expected to have to keep, or ever had any intentions of keeping. The problem is their actions mean the end of America as a representative republic where the people still have some limited say in their government once the Radical Left takes control. The Radical Left has worked for decades toward the goal of permanent single party government ruled by a select elite. They have almost succeeded, which is why nothing will ever come of the exposure of the criminal activities of Hillary and other icons of the ruling class. The Radical Left has taken over the Demorat Party, lock stock, and barrel. They own academia, the media, the bureaucracy, and have made serious inroads into the judicial system. The Republican Party is not capable of stopping the Radical Left because that party is to focused on saving the status quo. What the GUP establishment fails to realize, once the Radical left secures that long time goal, there will no longer be that seat at the table. Submitted by email_registrat... on Wed, 11/29/2017 - 11:58. My senators, Kaine and Warner are dye in the wool DNC puppets, so calling them is a waste of time. I have repeatedly over the years written and called to no avail. The GOP has a history of never banding together on anything and everyone knows they will shoot themselves in both feet in the end. America is sick of both parties with their Me ME Me attitudes and corrupted thinking. I expect nothing beneficial from them on this issue.